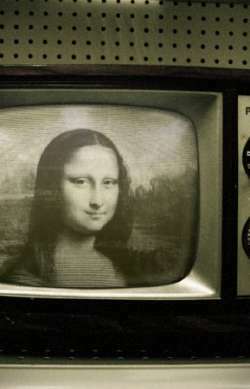 Mona Lisa - Mona on television! If Mona was actually on television, My sister says "It is awesome " , and my dad says "If my son (NerDBoy) wants to see this, I do not even care" and I say "Mona's a superstar! ".